India is one of the largest countries in the world, diverse and vibrant, multilingual and multi-ethnic. Visits to iconic sites such as the Taj Mahal, the Red Fort of Agra, Humayun’s Tomb remind one of the wealth of India’s architectural and cultural heritage and its long history. At the same time the gastronomic delights such as succulent kebabs and tikkas, delectable curries,and tandoor-baked delicacies evoke a riot of flavours and taste of a very diverse cuisine. Food is serious business in India and Indian cuisine is one of the most flavorful in the world. 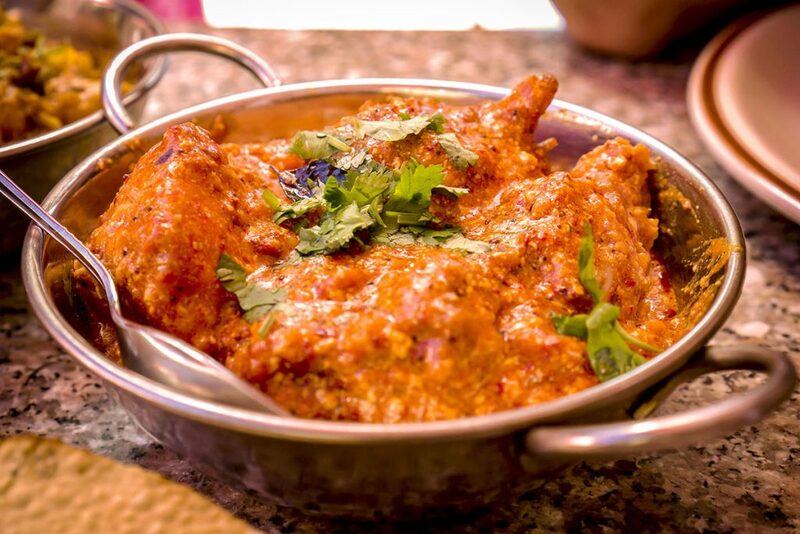 Indian meal with an array of curries, spices and various flavours has always been treated like an art. Now this art is leading international tourists into the Indian kitchen. One of the main reasons behind the increasing popularity of the trend is the desire to know more about Indian lifestyle, culture and tradition and food is undoubtedly an important ingredient of Indian lifestyle. 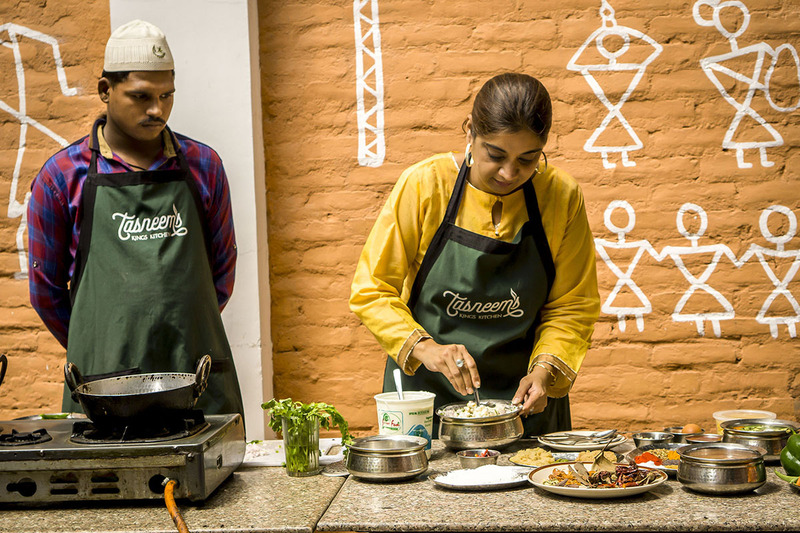 Learn traditional, home-style Indian cuisine from Tasneem. Indian cuisine is quite varied, but one common theme is the layering of different spices that create a rich flavor profile. Like much of Asian cuisine, it combines different combinations of sweet, sour, savory, and spicy in its many vegetarian and meat-based dishes, combinations that you will experience and learn to replicate on your cooking tour with Tasneem. Indian food is just not rich in taste but high on health too. Tasneem also educates many interested guests about the medicinal properties of some of the Indian spices. 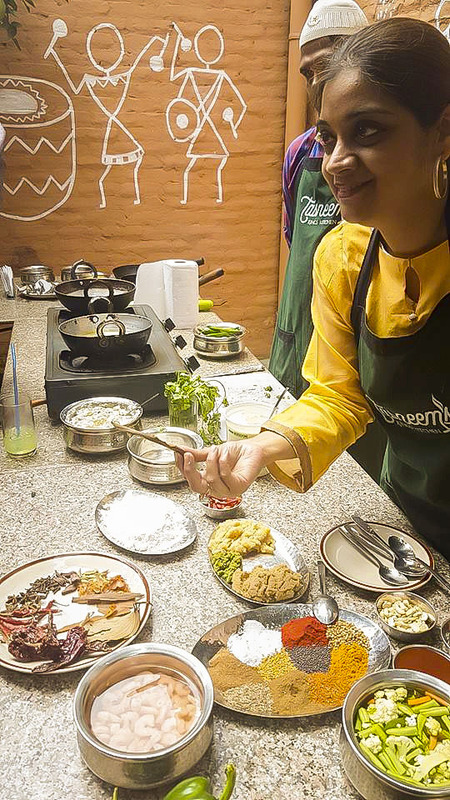 Spend a day at Tasneem’s Kings Kitchen exploring authentic Bohra Muslim cuisine with Tasneem. 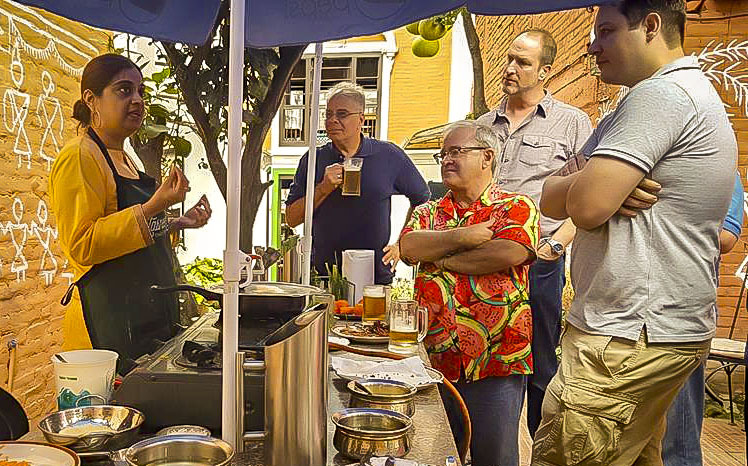 The session includes learning five different cooking techniques. Starting with Indian sherbets and lassis, the traditional welcome drinks. Moving on to appetizers with Kebabs and Tikkas where you will learn the secrets of spices and art of marination. Followed by creating different bases for awesome Indian curries, then on to biryanis where you unravel the secrets of traditional “dum-pukht” techniques associated with royal kitchens of Awadh and ending with creating sinfully rich desserts. We promise you an unforgettable day that will surely be one of the most rewarding and delicious journey of your life. To book your Indian culinary tour at Tasneem’s Kings Kitchen call Tasneem on 98013299610. Minimum 6 Maximum 12 people. Cost Rs 2000 per person. Includes a 6 course meal.